I always find it hard to throw out scraps. There must be a million ways to use them up but sometimes time is limited. 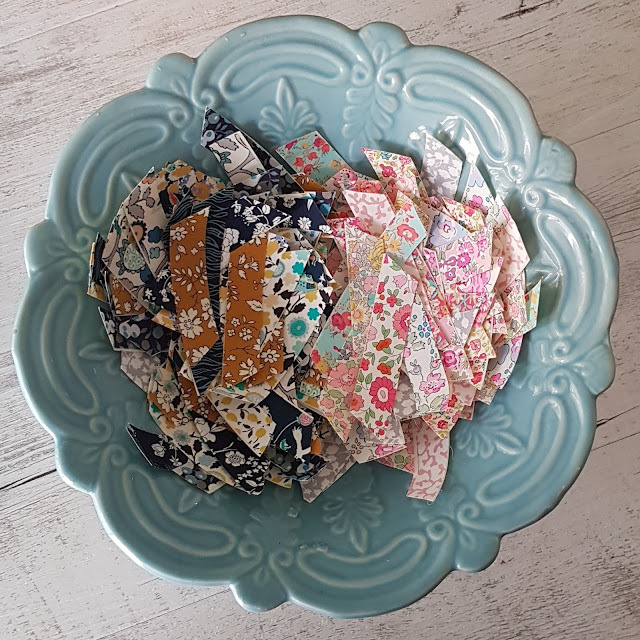 With the constant flow of Birthdays and with Christmas fast approaching I have turned my attention to ways of better 'styling' my gift wrapping and what better way, than with fabric scraps. 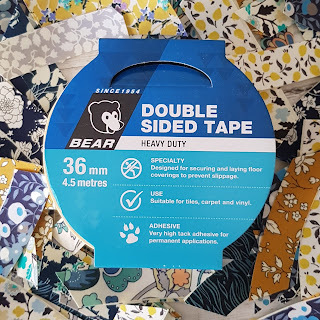 After a quick visit to Bunnings and a little help from a staff member I eventually found some double sided tape. They had a few different widths available, this time I decided on the 36mm. To make your own Washi Tape is super easy once you have the double sided tape. 1. Simply cut your scraps to the same width as your tape. 2. As you unwind the tape one side is sticky so carefully lay your fabric on the tape (sticky side), right side facing up. Continue to lay all you scraps end to end along the tape. 3. 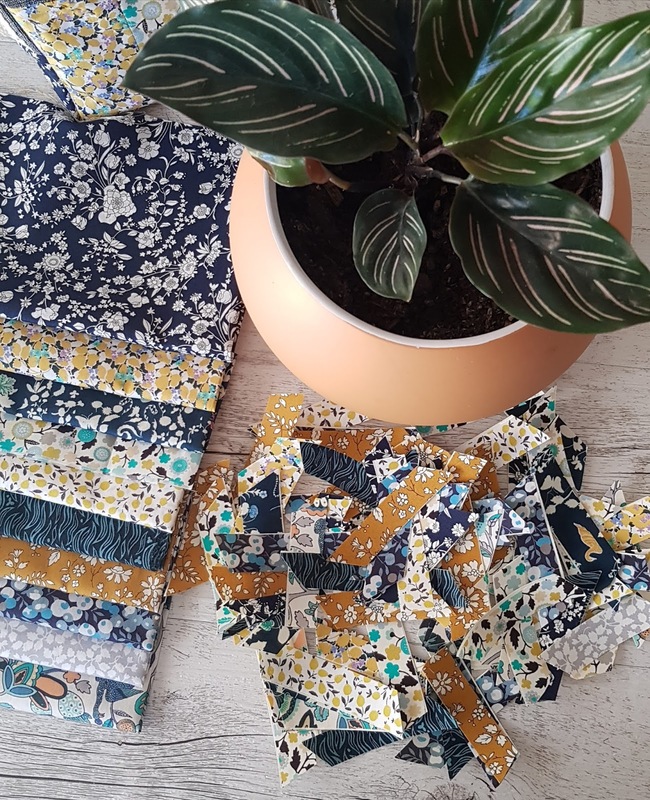 When you reached the end of the roll, or when you run out of fabric, go back and trim between the start and end of the fabrics as they change. 4. Then carefully, withy rotary cutter and ruler, cut down the middle of the tape making two long lengths. Omit this step if you are using a thin tape or want a thicker Washi tape. Effectively my 4.5 meter roll of tape was now 9 meters. 5. Trim your lengths to your desired length. I chose to go approximately 3"
6. (Optional) With your scissors, trim each end of your Washi Tape on an angle. 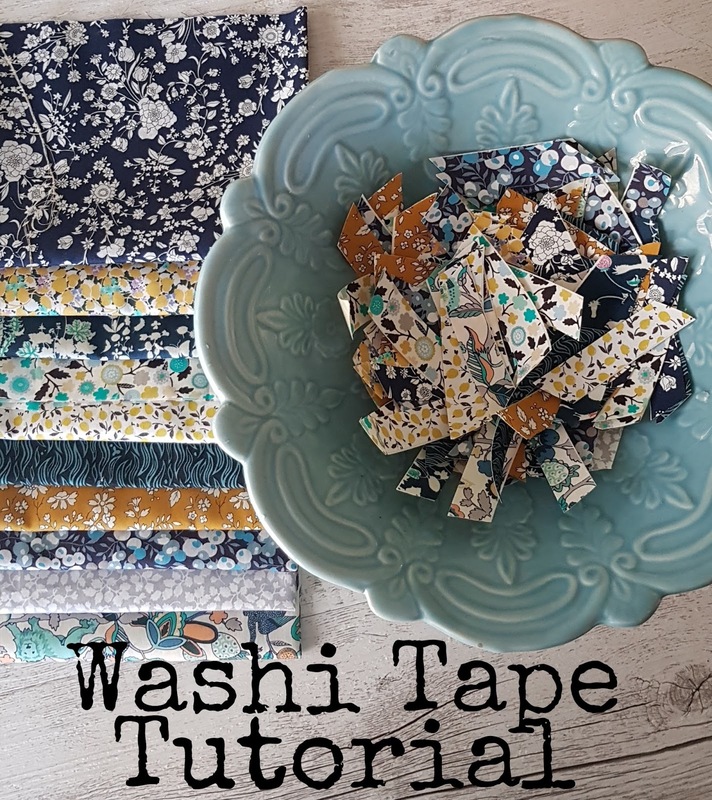 Peel the back off your new "Washi Tape" and you are ready to go! 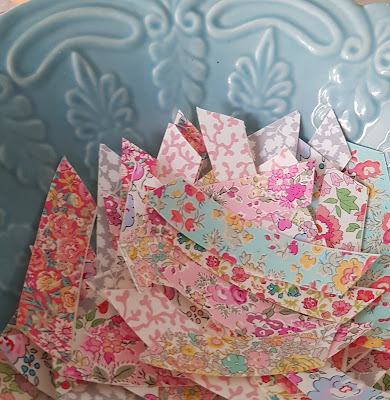 I couldn't help myself, I also dived into my pretty pink Liberty scraps and made some more with a second roll of tape. I now have approximately 18 meters of pretty Liberty wash Tape. 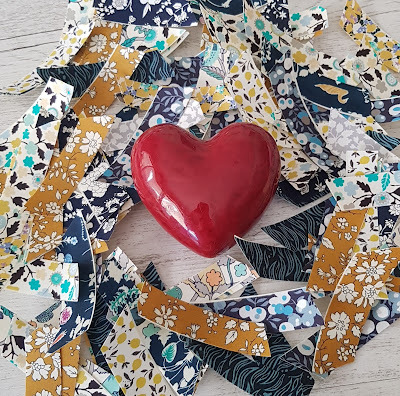 You may also recognise my first lot of Washi Tape. 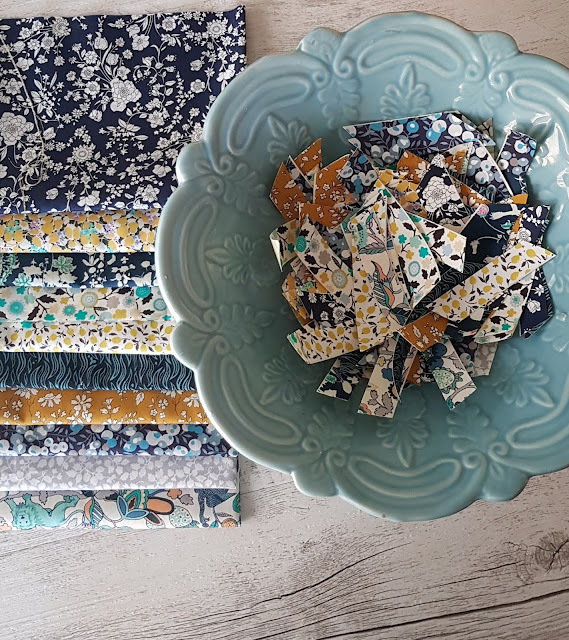 I made if from the offcuts of a project that I get to share with you next week and that project has been made with this months Liberty Society Bundle from Ava and Neve. Time to go and "Washi" everything! I am always trying new things with the smallest scraps, but this idea of yours is just wonderful.. I can't wait to get started.. Thank you.